Contrary to popular belief, when selling your home its value is determined by one thing and one thing only – what a qualified buyer is willing to pay for it. No more and no less. Sure, many sellers will argue that their home has an insurance replacement value, or an appraised value, or a tax assessed value, but unless your insurance agent, your banker, or your tax assessor is willing to write you a check for the home – guess what? None of that matters. A home without a buyer has no value in the market place. Sure it might have a value to you the seller, and it might have a value to your banker, and to your insurance agent, and to your appraiser. But none of these people are buyers. Now you may be thinking – Hey wait, if I left it up to a buyer, they would pay me as little as possible for my home. True, they would. But in the real world every buyer knows that you, the seller, have no obligation to sell your home at any price. To purchase your home the buyer will have to make you an offer you can’t or won’t refuse. One that will motivate you to pack up your Ken and Barbie collection, hire a local mover, and wave good bye to a home full of memories. But here-in lies the trap that many sellers fall into (myself included), which is the mistaken idea that we can hold out for an inflated price and eventually the market will come to us. Wrong! Buyers are under no obligation to buy any particular home, and no amount of marketing, open houses, websites, or signage will motivate a buyer to purchase an overpriced home. Why? Because they can buy one of your neighbor’s homes for less! This reveals one of the most important considerations in pricing your home – Price VS Time. The age old dilemma that has faced buyers and sellers since the dawn of private property rights is a simple question: What is more important price or time? Believe it or not this conundrum underlies and controls every sellers decision to sell, and every buyers need to complete a purchase. For sellers this boils down to the need to sell within a set time frame or instead to hold out for the best possible price, and as you might guess, for buyers it’s the need to buy within a set time frame or to purchase a home for the lowest possible price. Buyers are in the same boat. A buyer who has the luxury of shopping for a home over a long period of time can probably wait to find a bargain, while another buyer who must buy a home in the next few weeks will probably be willing to pay a premium. Again it boils down to price vs time. So you might ask yourself what is your highest priority – Selling quickly or selling for a higher price? To be honest when I pose this question to my own clients they often smile coyly and then answer – I want both! The funny thing is that they aren’t kidding! Most of my clients want their cake with the icing generously slathered on top. Because of this, many homeowners will attempt to put the responsibility of getting both top dollar and fast sale on the back of their hired gun, the real estate agent. The result can be summed up in one word – frustration. Why? Because no matter how much a seller yells, screams, and kicks a real estate agent, they don’t do miracles. This is why successful sellers understand that while a real estate agents job is to provide marketing, expert advice, and negotiating services, in the end they don’t own the property. They don’t make the final decisions on pricing. The seller does, and ultimately the seller’s asking price will in large part determine how slowly or quickly the home will sell. To frame this discussion in a different way, consider what you will do should you arrive luggage in hand at the end of your listing period and the home has not yet sold. At that point are you more likely to give it a little more time or adjust your price? I know – Neither, I’ll just fire the agent! To be honest, this is exactly what many sellers’ do, they fire their agent and reboot the marketing. Does it work? Sometimes it does, but often these sellers end up three months later in the same slow boat to nowhere. Successful sellers on the other hand take ownership of their pricing decisions by making a clear decision about which is more important to them, selling quickly or selling for top dollar. If you’re like most buyers you would probably start online by viewing listings at websites to get a general feel for local home prices. Next you might narrow your search down to a specific community or neighborhood by comparing utility costs, school reports, and crime statistics. Feeling good about your findings you might then venture out into the real world to begin viewing homes in person. So what happened here? As a buyer you went from a blank slate, with no impression of the market to having the ability to predict listing prices. A big leap sure, but this description is exactly what most buyers’ experience. But this is only the build-up, the next step for buyers who have found their dream home is to review a Comparative Market Analysis. A Comparative Market Analysis is a report that compares a specific home, often called the “subject home” with other homes in a specific neighborhood. This analysis is then used to provide an anticipated sales price or price range for the subject property. Although not formally called an appraisal, the report provides a similar function by giving home buyers and home sellers a clear understanding of the market data that might affect their opinion of value. Buying or selling a home using a professional who anticipates and provides personal guidance, makes all of the difference in your experience and outcome. 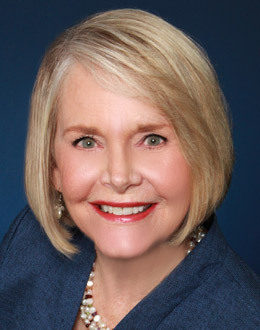 You can rely upon Linda Maull…to provide the right solution to all of your real estate needs. Find your home’s value today. Click here for a free current market analysis.